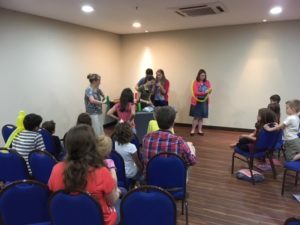 It is hard to believe that our time in Brazil is coming to a close. 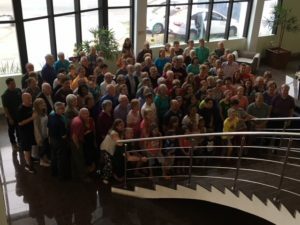 We have met so many wonderful servants of Christ and been so richly blessed to be a small part of what God is doing in this place. Yesterday was spent once again ministering to the missionary kids and their families in the morning and evening. We have had a ministry of encouragement and refreshment in their lives and they have all expressed their deep thanks. We were even honoured in the evening service with gifts and a special Brazilian cheese bread after the service. Truly God is good to his servants. However one of the richest gifts has been the opportunity to meet and learn from theae faithful saints. Just one example was from a missionary mother who introduced the song “Tis so Sweet to Trust in Jesus” in the service last night with the testimony of how Jesus has been faithful to carry her through the loss of her 15 year old son several years ago. There were not very many dry eyes in the room as she explained God’s faithful presence and grace to her. In coming to be a blessing we are the ones leaving blessed. 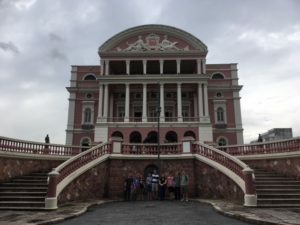 We did get a little time in the afternoon to experience downtown Manaus and visit the famous opera house built in 1896. We then walked the market streets and bought authentic Brazilian hammocks and other souvenirs before surviving the crowded public bus system to get back to the hotel. Today is our final day here with our trek home starting tonight with a midnight flight out of Manaus. Please pray for a safe journey home as we have many km to fly and drive. While we are excited to be heading back home we will be sad to leave the Carruthers and so many other new friends we have made here. We are thankful that, because of Christ, it is never good bye but see you later! 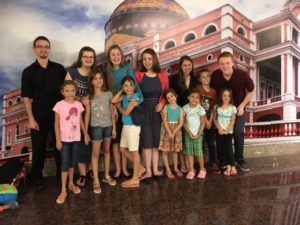 So glad you were all able to serve on this trip! Blessings on your trip North.